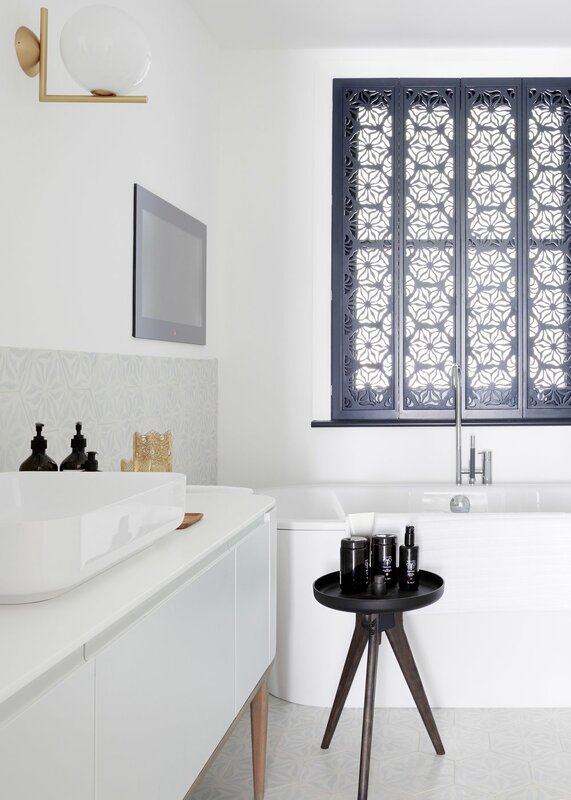 When our clients brought a mews house in Notting Hill it was in need of completely updating. Working with James Lambert Architects we reconfigured the interior layouts and updated the architectural elements, including new flooring, windows, raising doors and updating staircases. 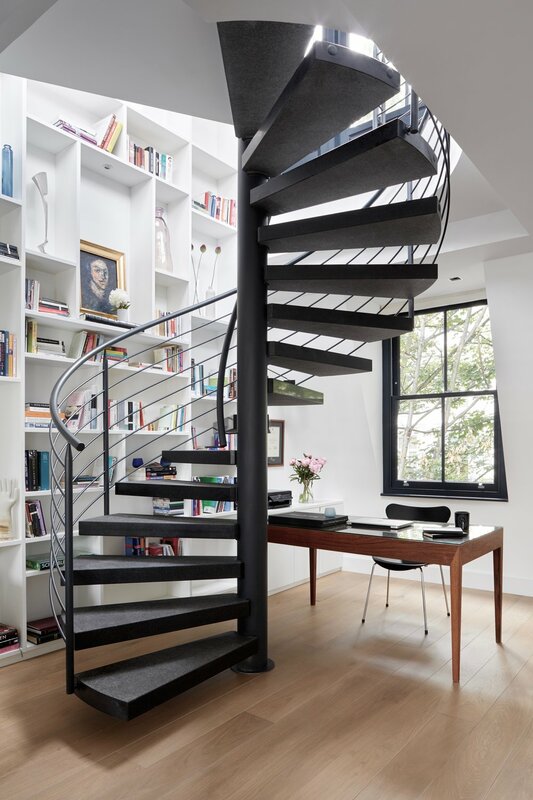 We designed a new kitchen and bathrooms and sprayed black an existing spiral steel spiral staircase leading to the roof terrace. With a brief to create an interior which was modern and fun and also incorporated our clients' collection and love of Danish 1950s furniture we sourced and installed an eclectic mix of vintage and modern furniture and lighting from showrooms throughout Europe and the USA. We deigned bespoke joinery throughout the house including a stunning double height bookcase to house our client's extensive book collection.